With their large rosette leaves and long stems, Aeoniums are very striking succulents. Most are native to the Canary Islands. Stems may be short or long an branching, depending on the variety. Star shaped flowers bloom on stems that emerge from the center of the rosette. 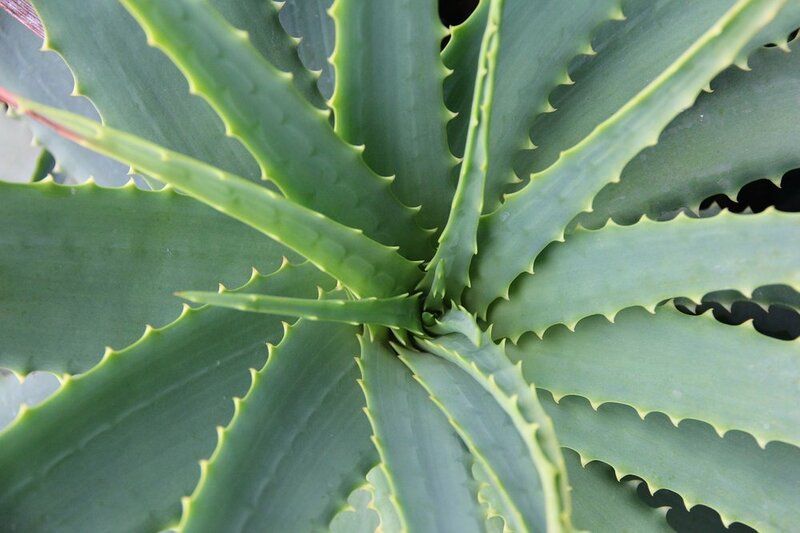 Most people think of medicinal aloe (Aloe vera) when they think of aloe. However there are many other ornamental species as well. Aloes hail from Africa and the Arabian Peninsula, with some species staying short and compact while others reach up to 5 feet tall. Flowers are usually yellow or red-orange, or red-pink. Native to the Arabian Peninsula and parts of Africa, Cotyledons are part of the Crassulaceae family. Leaf shape varies from species to species. Many have pubescent leaves, like the Bear Paws pictured. Flowers are tubular and usually orange or coral colored. Crassula is a large genus, the most known species being Crassula ovata, or Jade. Jade Plants are evergreen succulent shrubs native to South America and are considered be lucky plants. When growing them indoors, make sure they do not dry out completely, but do not overwater them either. Over time, they may grow into a more tree-like form. Echevarias are native to Central America and one of the most popular types of indoor succulents. They have a tight, compact form and rosette leaves that may be a variety of different colors depending on the species and cultivar. 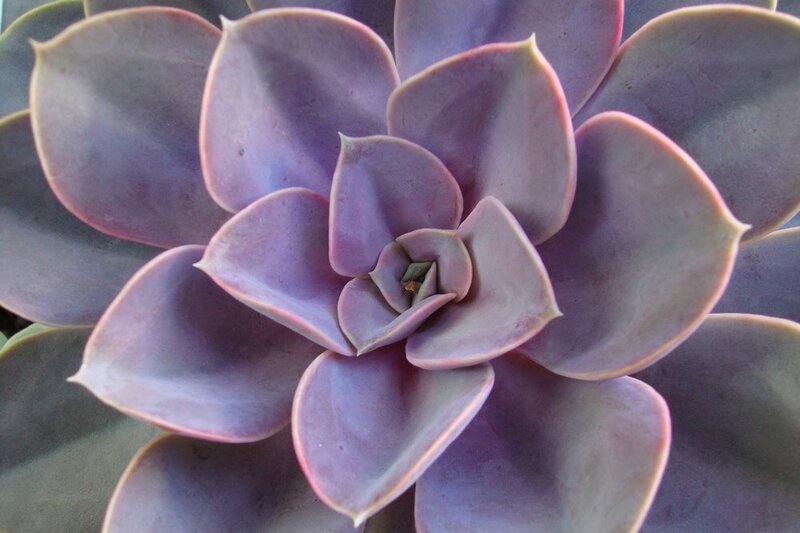 Perle von Nurnberg is well known for its bright purple leaves. Haworthia are small succulents native to South Africa. Leaves are green with white markings, although the shape and orientation of the markings varies from species to species. Haworthia fasciata, or Zebra Plant, is one of the most popular with white and green striped leaves that resemble the markings of a Zebra. Most Kalanchoe are native to South Africa and Madagascar. Flowering Kalanchoe is a popular florist plant at holidays, while non-flowering types are great to mix with other succulents like Echevaria in succulent arrangements. 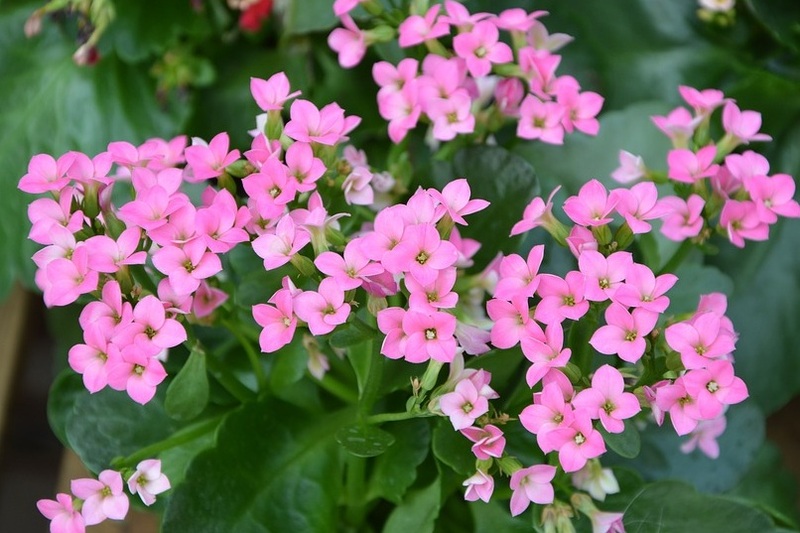 Like other succulents, both types of Kalanchoe need to be watered carefully but not too infrequently and be placed in a space with bright indirect light. Peperomia is one of the largest succulent genera in the world, native to all tropical and subtropical regions but predominately in Central and South America. 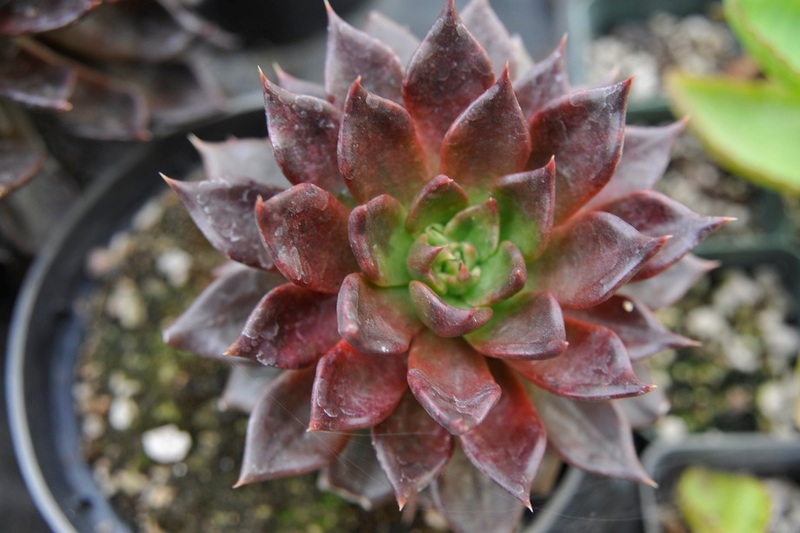 They prefer more humidity and moisture than other succulents, so make sure the soil stays moist but do not overwater. 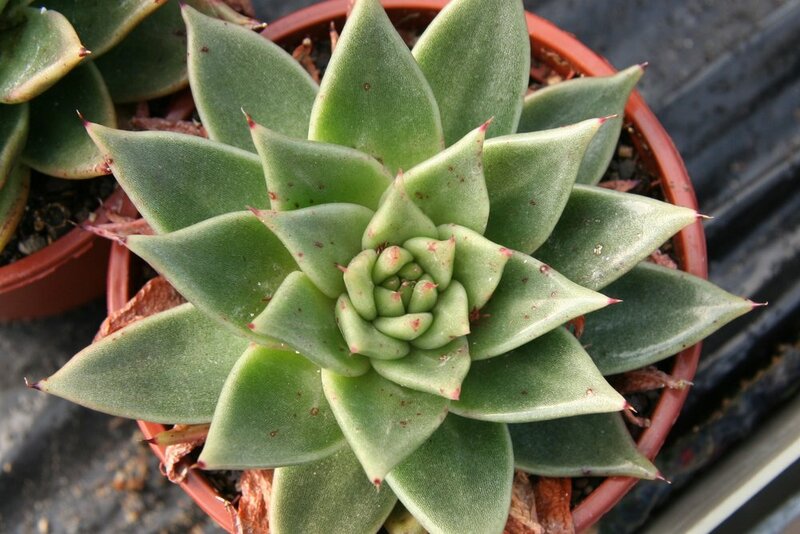 They also do not need as much light as other succulents and are content in an east or north facing window. Most sedums are more suitable for outdoor growing, but a few do well inside. One is Sedum morganianum, sometimes called Burro’s Tail or Burrito, It works great as a trailing plant with its long draping stems covered in small gray-green succulent leaves. It is also very easy to propagate. Senecio is part of the Aster Family. Many are outdoor plants, such as Dusty Miller, as well as common weeds such as Ragwort. Succulent Senecio are great indoor plants. Flowers are daisy-like and like other succulents prefer at least 6 hours of bright, indirect light when grown indoors.